Chris Klaxton is a prime example of ambitious players who are coming up today and breathing new life into the music. Well-schooled by top trumpet masters, he not only has the chops, but also the unbounded imagination needed to transmit his ideas with music. New England native, Chris Klaxton, has developed a reputation as a gifted multi-instrumentalist, an imaginative composer, and an effective educator. With degrees in both classical and jazz trumpet, Klaxton has received a rich and varied education, studying with: Brian Lynch, Terence Blanchard, Jason Carder, Dr. Robert Stibler, Stephen Guerra, Whit Sidener, and Gary Lindsay. Perhaps the most significant musical relationship of Klaxton’s career is that with famed trumpeter, Clark Terry. Years of study, several years as valet / travel manager, and more than a decade of friendship with Clark, has left Chris saturated with lessons and anecdotes (musical and otherwise). Chris is proud to pass on a repertoire unique to Clark, a system of phrasing and rhythmic pronunciation, and a means of conveyance handed down directly from one of the founding fathers of the music. 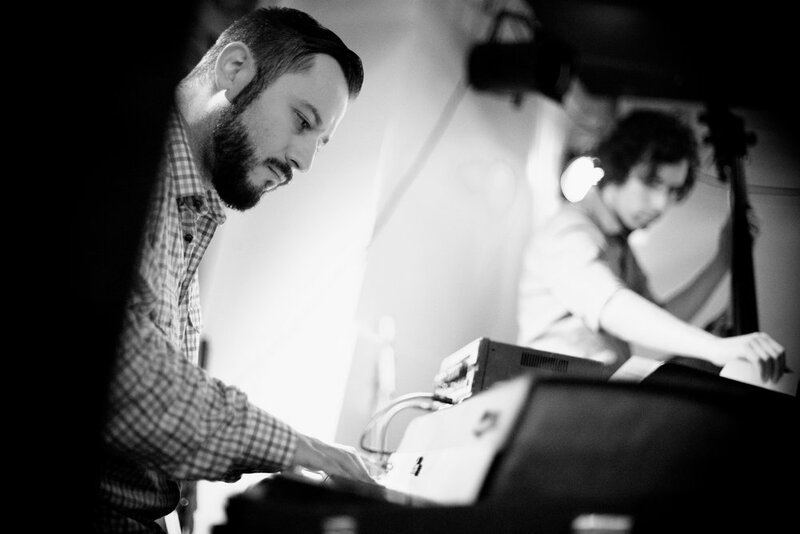 As a performer, Klaxton contributes trumpet, keyboards, guitar, and percussion to a variety of projects running the stylistic gamut. His self-led 8-piece ensemble has recorded two albums of original music (STARCODE and COLLAGE) which display Klaxton’s eclectic palette, a unique approach to the jazz tradition, and a fertile imagination. In 2015 Klaxton founded OURBIGBAND, a New England-based large ensemble dedicated to performing new music. The band’s 2016 collaboration with famed trumpeter / composer, Dave Douglas, featured a program of Douglas’ large ensemble music as well as a premiere of Self Portrait in Four Dimensions (dedicated to Charles Mingus). Equal to Klaxton’s passion for performing is a commitment to education. On faculty at the University of Southern Maine, Plymouth State University, Portsmouth Music and Arts Center (PMAC), and Southern New Hampshire University, Klaxton teaches jazz trumpet, classical trumpet, jazz piano, composition, theory, and coaches ensembles. He is also an in demand clinician, adjudicator, is available for private instruction, and serves as choir director for First Parish Federated Church in South Berwick, Maine.